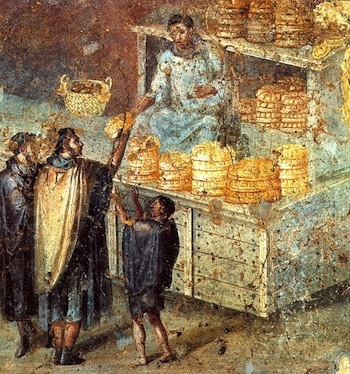 Because of its conquests and trade with India, the ancient Roman world had a great variety of vegetables, meats, grains, fruits, desserts and drinks. These articles tell of ostentatious banquets, of the foods of the common people and offer recipes the ancient Christians and Romans used. See the related articles in this section.